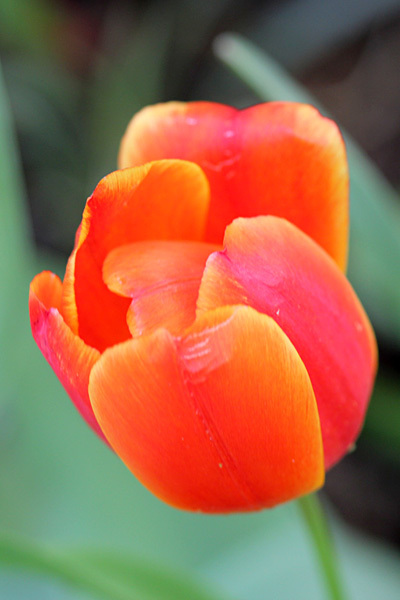 Don’t get me wrong – I’ve loved having the Tulips in my garden. 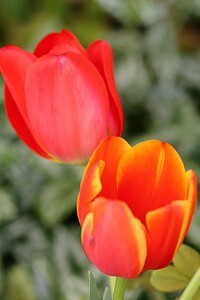 They are beautiful and they’ve added glorious colour to the spring garden, but were they “worth it”? 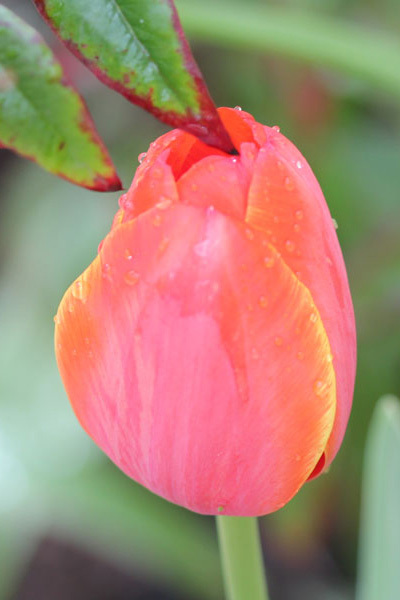 According to Wikipedia, During the Ottoman Empire, the tulip became very popular in Ottoman territories and was seen as a symbol of abundance and indulgence – I understand why. The bulbs are fairly expensive, certainly the ones I bought were. 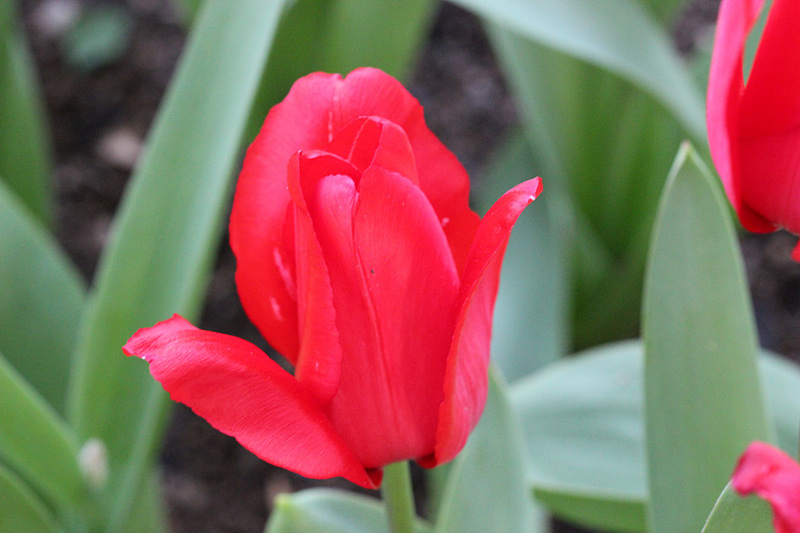 The standard tulips were quite reasonable but were sold out so quickly that I only managed to get my hands on a few – and only red were left when I bought. 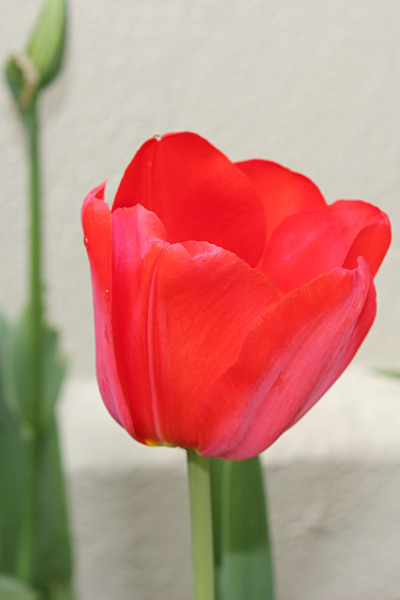 As Tulips are my daughters favourite flowers, I had promised her “lots of tulips”, so when the exotic tulips became available, I indulged and bought a lot of them. They were pricey considering that they are only worth keeping for one season, or so the bulb-people tell you. But order them I did and I lovingly planted all the bulbs and waited in anticipation for a marvellous show of tulips. Was it marvellous? Well … it certainly was lovely. It was a fun experiment. 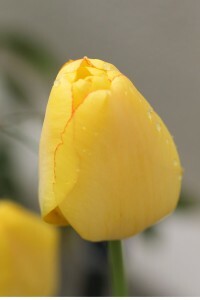 It was great being able to cut tulips and bring them into the house (and my cut tulips lasted a whole lot longer in the vase than the ones from Woolies do). But was it “show-stoppingly marvellous”? I would have to say no. 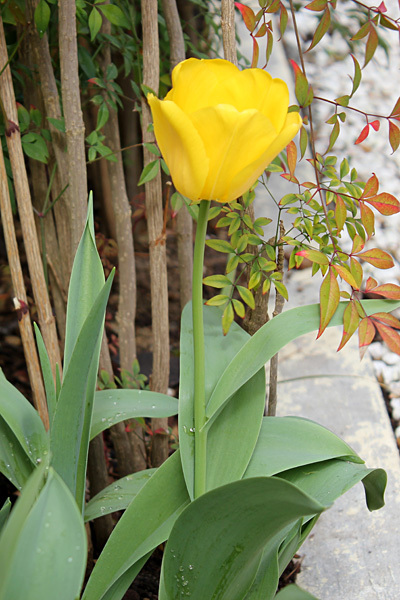 The exotic tulips all seemed to bloom at different times so I never had a single “wow” moment in the bed they were planted in. 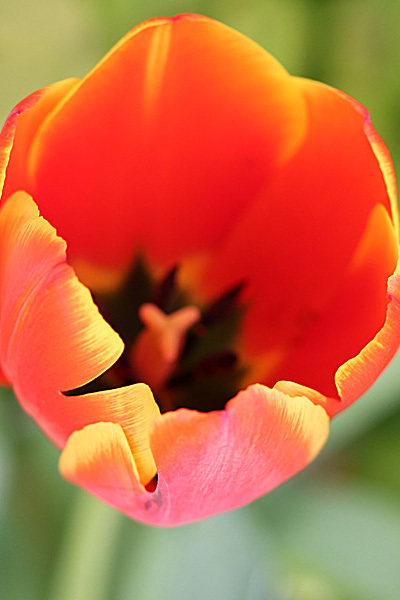 We had plenty of “thats very pretty” moments, but never a “Wow, that is a great show of Tulips” moment. And once the blooms are spent you are left with the collapsing greenery … and no chance of another bloom (indulgence!). 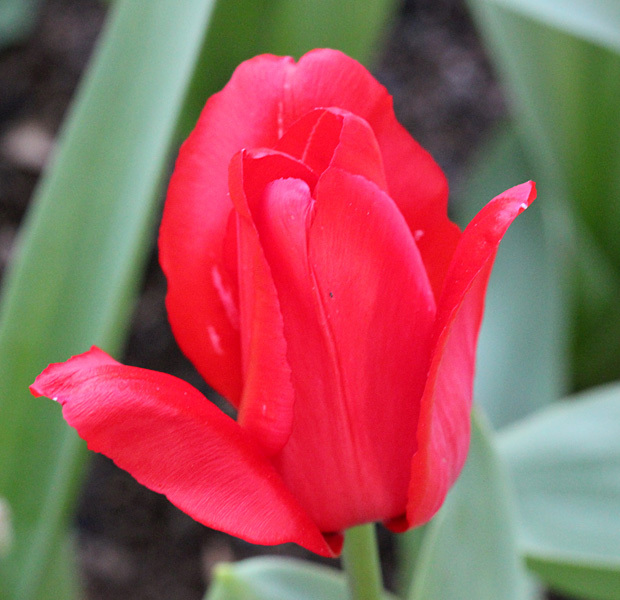 The standard red tulips are blooming now and they look lovely. I don’t think the the way I planted them induces a “Wow” moment when you see them, but we are enjoying them for now. 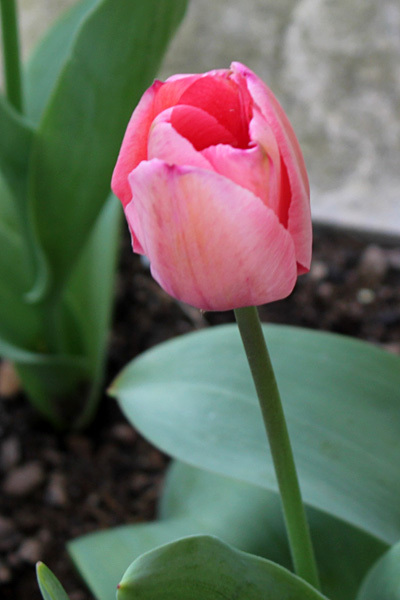 My final verdict: If (and its a rather big if) I buy tulips again, I will plant them in pots which I can move around or in an area that isn’t that obvious (but then whats the point really?). For the amount of time they took to grow and flower (4-5 months growing time for 2 to 3 weeks of flowers), that’s just not worth it in my book. I think I can do a lot better by choosing any number of the perennials on my “I want these” list, which will give me pleasure for a lot longer than three weeks. 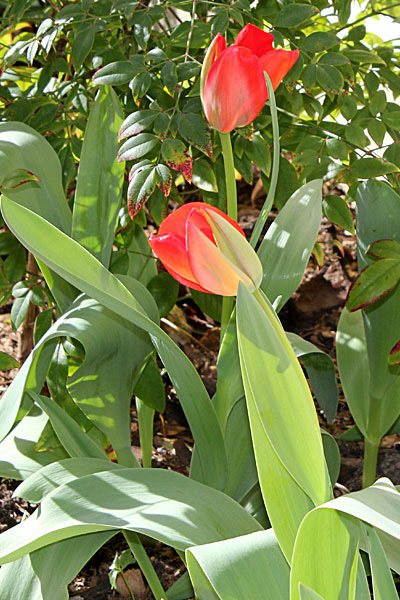 It’s not that I expect a plant to flower continuously, far from it, but I don’t see the point of devoting an entire flower bed to six months of growth for a fleeting showing by the tulips, only to trash them afterwards. I just don’t have that much space in my garden (or cash in my bank account ). So much like one says to friends you know you won’t be seeing again for a while, I bid Adieu to the Tulips … till we meet again! Perhaps I will look back on this post next year and change my mind and do it all over again … time will tell. 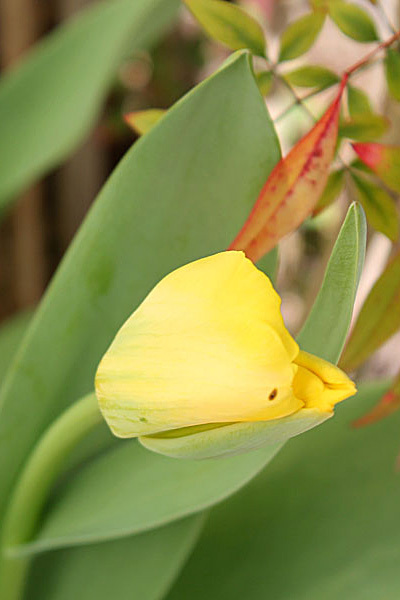 I am so sorry to hear about your tulip difficulties. My dear garden friend who writes and published garden books has many postings on the subject: You should visit his blog, he has the most beautiful garden I know. I am so with you on this! I tried them many years ago… just not worth it to me. 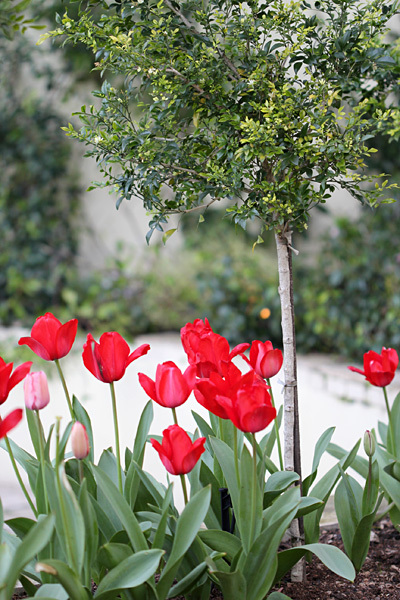 We do the same thing Christina does — we plant tulips and daffodils in clusters of 25-50 bulbs and then plant over them with later sprouting perennials to hide the foliage after they bloom. But we also live in an area where we have very cold winters, essential for these to do well. In tropical areas, you can stratify them in the refrigerator, but you need to be really motivated to get a dramatic display, as you have to dig them up, bring them in, stratify them, and replant them. I would do it in pots too. Where we are, gladiolas, dahlias, and begonias are tender and we have to dig the bulbs up every autumn, label and bring them in, and restart them in the spring. It is a huge job and more often than not I just treat them as annuals and buy new plants in the spring. But I certainly know how much work is involved, so I can understand the way you feel about the tulips. At least dahlias and begonias bloom all summer! They surely don’t need a bed of their own. I’ve bought 250 bulbs to plant in my perennial border, and once their blooms disappear the perennials will start showing and covering the wilting foliage. Also, most tulips will happily bloom year after year, and once the original bulbs loose their vigor entirely they should have made off-shoots that will take over. Especially if you go for the “botanical tulips”. We shall see what happens next year. For me, there is nothing to consider. They can’t grow in my hot climate. I’ve had the same issues with tulips in the past. While they’re lovely they never seem to come back as strong the next year and they sure are a lot of money to spend for just one season. 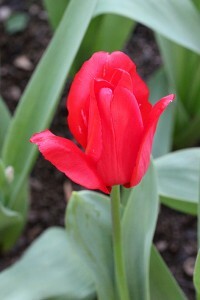 Funny enough though I will be planting tulips in the coming weeks as I was gifted with a bunch for my birthday. So next spring I will enjoy tulips and consider whether it’s worth doing more than just once. Yours look very lovely. However, your post states exactly how I have felt for some time. It is too hot here for tulips – they don’t get the cold they need in the winter, so they are annuals for us. Every few years, however, I indulge and purchase a few bulbs. Only to resolve not to do that again. Yet what did I buy last week? 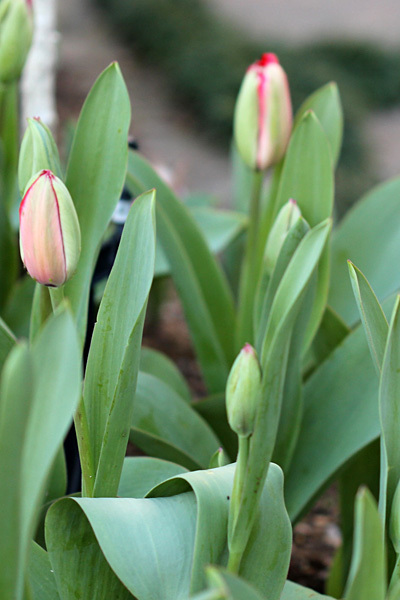 Tulip bulbs!!! 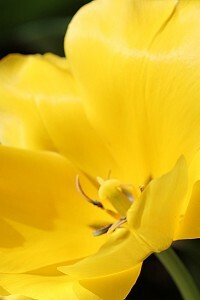 I think the main problem with tulips is they’re too pretty to resist! What a lovely display of colour!! 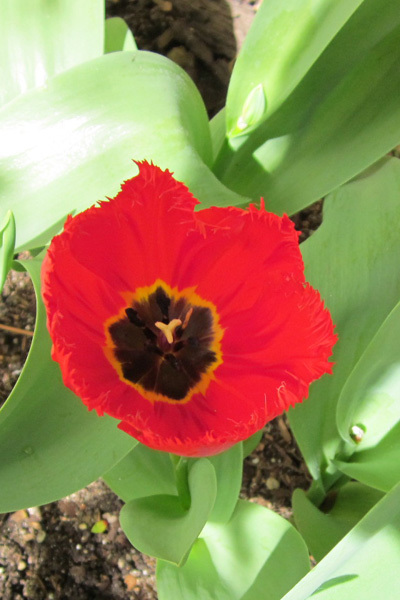 I really enjoyed the tulips, but – hey – I just see the best of them. I guess the effort did not equal the output. We live and learn. 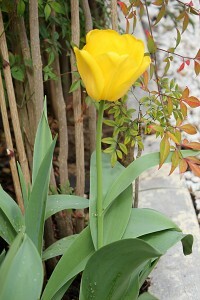 I am sure your next bulb planting will be one of experience.